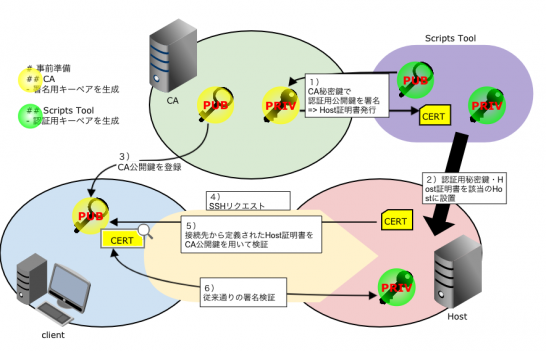 The authenticity of host '<接続先ホスト> (<no hostip for proxy command>)' can't be established. debug3: load_hostkeys: loading entries for host "dev01.kontany.net" from file "/home/testuser/.ssh/known_hosts"
debug1: Host 'dev01.kontany.net' is known and matches the RSA-CERT host certificate. Copyright© ましまろ的ひとりごと , 2019 All Rights Reserved.